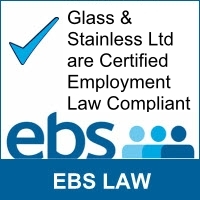 Glass & Stainless Ltd are official resellers for a number of high quality architectural components manufacturers. With a competitive pricing structure and fast delivery schedules Glass & Stainless really can be your one stop shop. Whatever your Glass and Stainless steel component needs, we can help. We provide a large range of components including shower screen hinges, stainless steel hinges and balustrade components. If you have a question then please don’t hesitate to contact us.